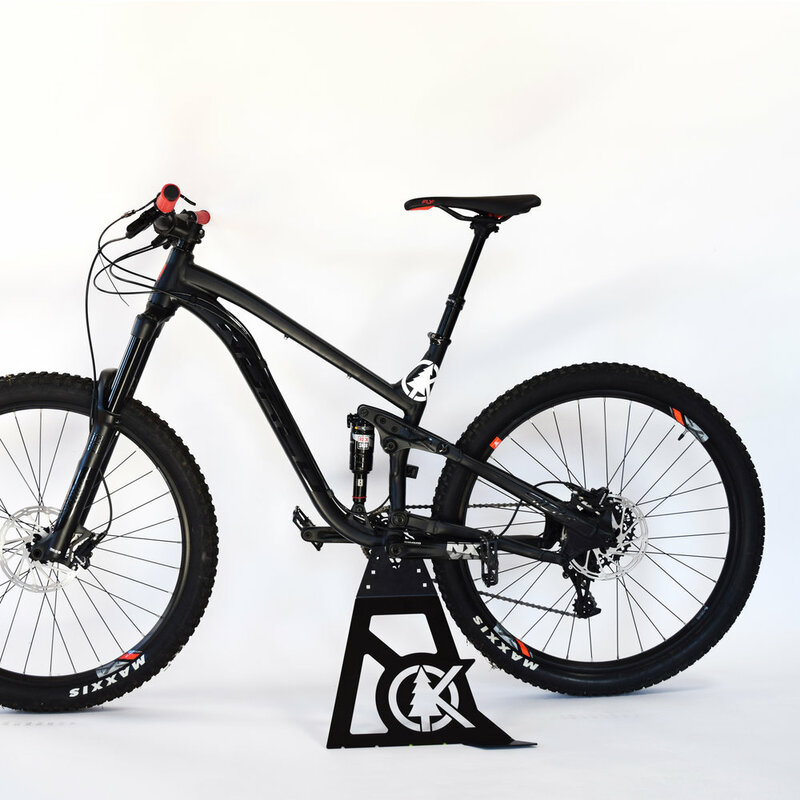 The Bike Station Rack is a multi position bike storage system. With multiple storage positions for you mountain, road, fixie, tri, or cyclocross bike the Bike Station Rack will store your bike and all your gear neatly and safely. *Note this stand is NOT designed to support the bike with you on it. It is simply designed to prop the bike up while you get ready. 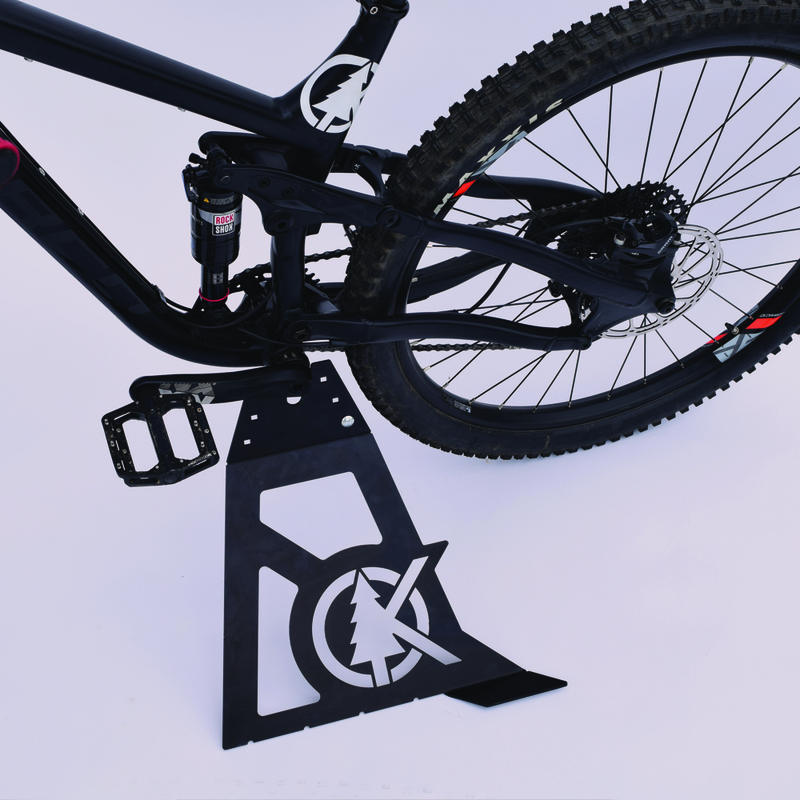 Sitting on the bike while supported in the stand can lead to damage of the Stomp Stand or your Bike. Don't lean your bike against your car or tailgate anymore, risking damage to your vehicle or bike. 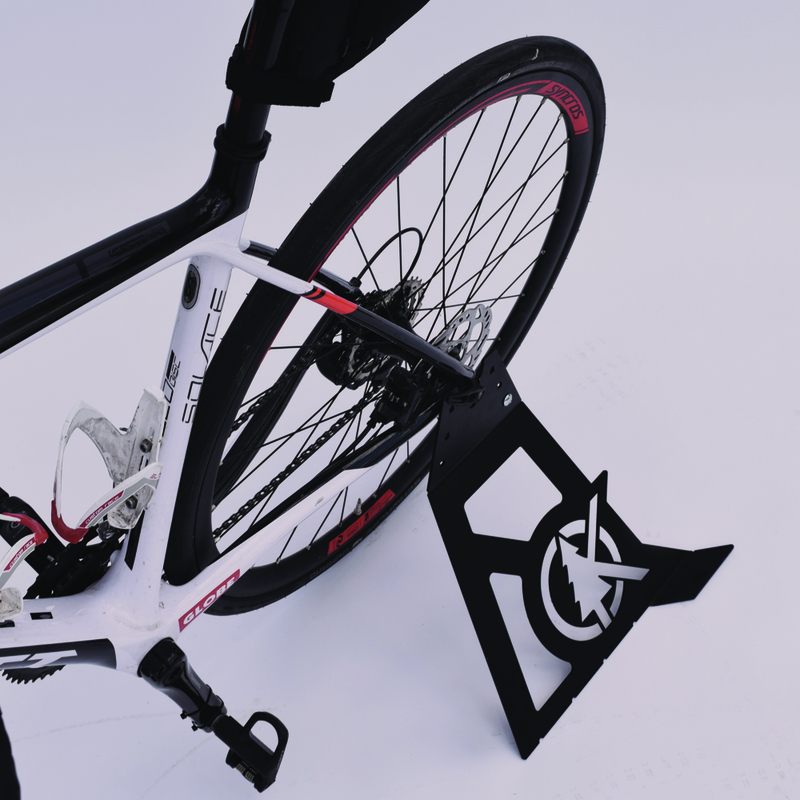 The Simple Stop Stand is the perfect accessory to toss out of your car and hold your bike upright while you get ready to ride. 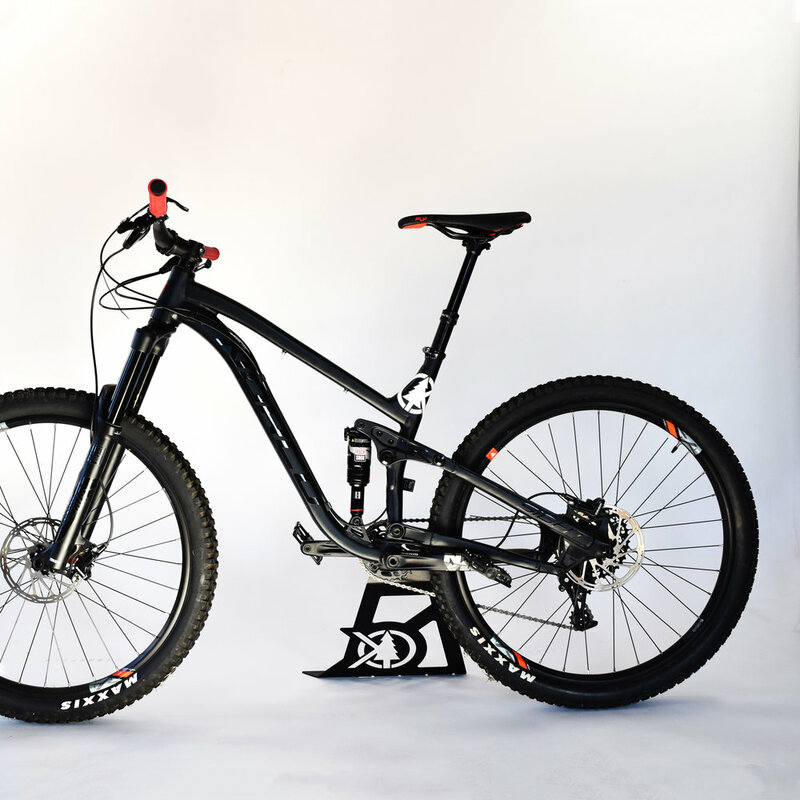 The ergonomic support channel allows the stand to support your bike by the bottom bracket, pedal, or rear axle. The Stomp Stand also come with an optional Bung and Bolt which can be attached to the stand, then inserted into a hollow crank or 9/16 hex crack bolt for more stand-able options. You get your bike dirty enough, stop laying it on the ground. Let the Stomp Stand give you a little support.